SMB Marble is a specialist and ideal exporter of Pakistani Multi Green Onyx. 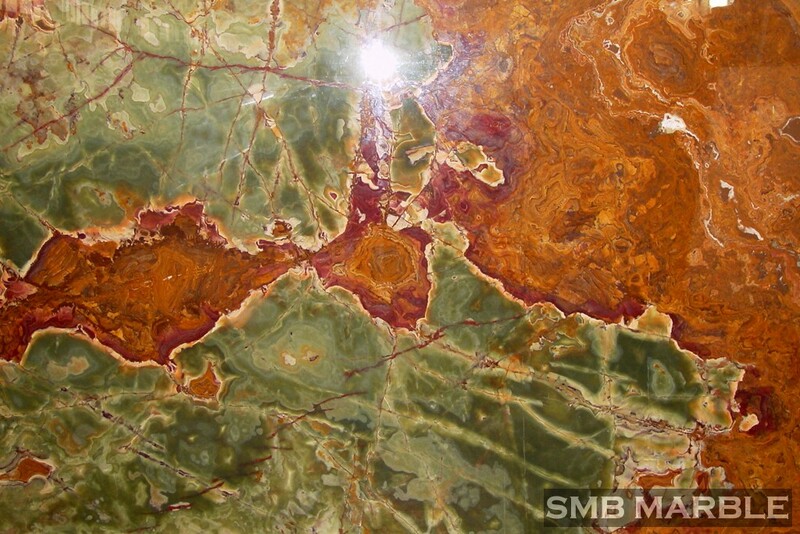 For over 23 years, with an expanding market, SMB Marble has been manufacturing and sourcing quality multi Green onyx with great passion and professionalism. Multi Green Onyx is a beautiful cryptocrystalline form of natural stone but it’s calcite like marble, it is denser, translucent and more brittle. It is extracted from Pakistan’s natural reserves existing in Baluchistan province. Pakistan has specific variations of Onyx, most common favorite is green among others. We fulfill the orders for multi green onyx in form of steps, slabs, tiles, raw blocks, bullnose, steps, and riser matching with the orders measurements and weight. We encourage importers to browse our website and talk to us via email sales@smbmarble.com or phone at 00923218888887. Whereas existing images on our website portray a real picture of the color and texture of the Multi Green Onyx material emphasize that examining products physically provide the real feel of color and texture of materials. Likewise, you are a warm welcome to visit our Pakistan office to see the wide selection of stone available and to visit quarries. Browse our website to view stone options or, even better, visit us or contact our team who will be very happy to help.